At L.V. Trucking Inc., transportation is our specialty. 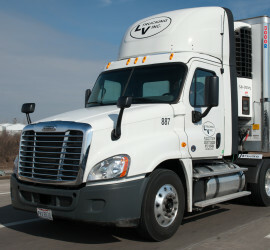 We offer prompt and cost-effective truckload service to areas within a 250-mile radius of Columbus, Ohio. L.V. 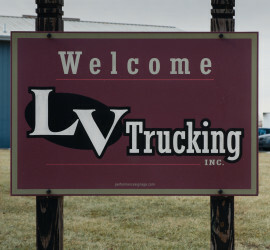 Trucking Inc. is a regional truckload carrier with service in Ohio and the surrounding states. L.V. Trucking Inc. has worked hard to become a well-respected motor carrier in Columbus. We are proud to say that we are extremely service oriented and customer minded. Due to our level of commitment we have a long-standing customer base. 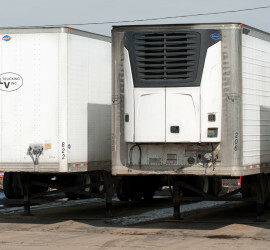 Said customer base is diverse due to the fact that we have both dry vans and refrigerated trailers.